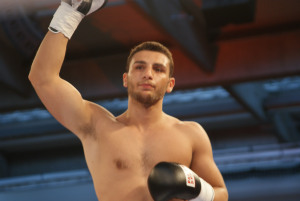 Unbeaten cruiser and WBO International title holder Noel Gevor (21-0) defends the title against Italian Mirko Larghetti (24-2) October14 in Hamburg writes Sauerland Event in a German press release. The fight is described as a possible final test before challenging for a World title. Gevor is ranked # 2 by the WBO, # 6 by the WBA and IBF, # 14 by the WBC and # 11 by the EBU. Larghetti comes in off a tough loss in Denmark against Micki Nielsen but had the Dane hurt in the last round. His only other loss came against then WBO king Marco Huck.